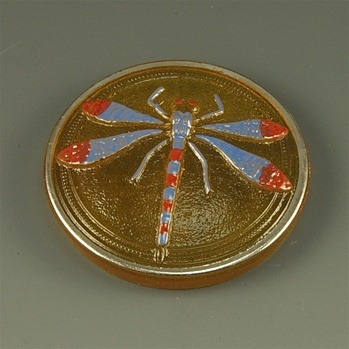 I had these lovelies custom made in Czech Republic from vintage button molds. Rather than having a shank back like the buttons, they are totally flat backed, making them great for bezeling either on leather or open backed. 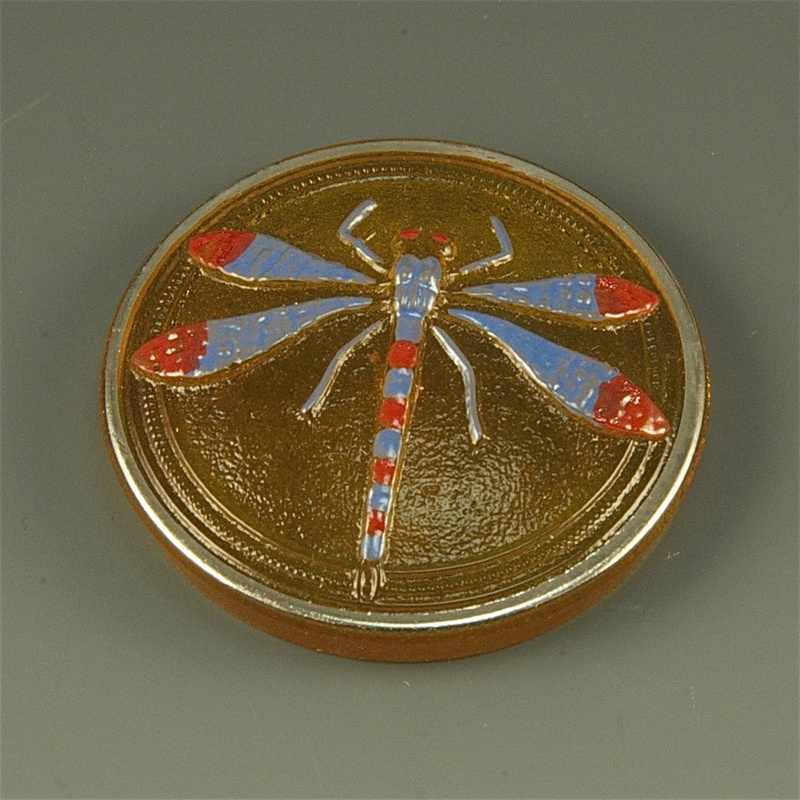 27mm in diameter, this one is transparent topaz colored glass with hand painted color on the dragonfly itself.